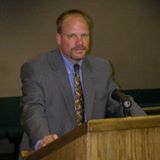 One of the only attorneys in Colorado with the combination of a hard science degree (biology with chemistry emphasis), completion of the NHTSA field sobriety maneuver class, and 20 years' experience in DUI defense. Over 20 years' experience in criminal defense. Member NACDL and CCDB. When eligible, there is no reason to let past mistakes continue to haunt the future. Criminal defense has been my passion since the first day of law school. Most attorneys come from liberal arts/political science background. I am unusual in that I am one of the only criminal defense attorneys in the are with a hard science background. Given that many cases involve scientific evidence and testing, it really gives me a leg up on both the DA's office, the testifying experts, law enforcement, and other offices. This comes in addition to over 20 years' worth of private criminal defense experience. Raised on an Iowa farm. Graduated high school in 3 years; entered college early. Graduated from Cornell College in 4 years with a degree in biology; then on to Creighton University for law school. After graduation and passing both the Iowa and Colorado bars the same summer (on the first try), I moved to Colorado and have been at the same location since. I started practicing criminal defense the week after getting sworn in to the Colorado Bar, and continue to do so.